JESSICA Cotta got the shock of her life when two unexpected visitors dropped in to her Marian house at 5 o'clock in the morning. 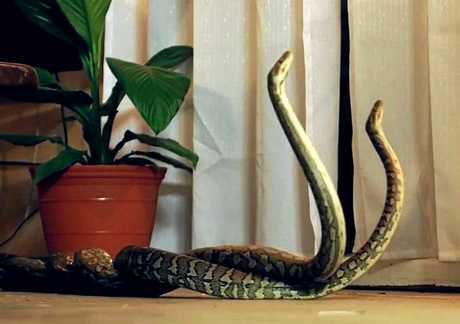 Just seconds after being alerted to their presence by her barking dogs, two six foot carpet pythons had fallen through a gap in her ceiling and were writhing around in front of her on the living room floor. "Early in the morning one of my dogs started barking in the lounge room and she was barking loud enough to make me want to get up and see what she was barking at," Miss Cotta said. "I couldn't see anything when I got out there but then heard what I thought was a snake in the ceiling, which is nothing new. "We are in the middle of doing some renovations in our house. We've pulled out an internal wall, which means there's a gap in the ceiling and it's about five inches wide, so I was concerned that the snake might fall through. "After shining a torch up in the ceiling to see what kind of snake it was, I could see that there were two wrapped around each other. It was pretty obvious that they were eventually going to fall through the gap. "They were rolling in parallel with that gap in the ceiling, they weren't terribly worried about what they were doing". The snakes did fall through, landing right in front of Miss Cotta, who said she was unsure whether they were fighting or mating. 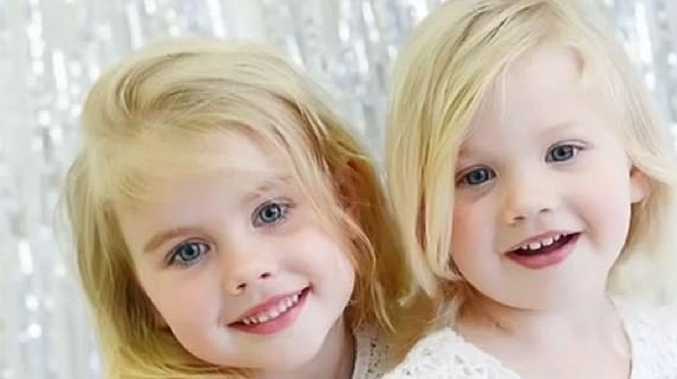 "From the time I had heard them, it was about 20 seconds later that they had fallen through and had ended up in the lounge room about two metres in front of me at 5am," she said. "It all just happened so quickly. I was looking at them, they were looking at me. "I was a bit worried but it was very clear that the snakes were just interested in each other and nothing else, so I was easily able to record some video of what was happening". Miss Cotta filmed the snakes, which appeared to be around six feet in length, on September 4. "My partner was still working at the time everything unfolded, he wasn't due to come home until 7am and I had called him just to let him know that there was a snake in the ceiling, before they eventually fell through," she said. "I tried to call some snake catchers, but none were available at that hour... luckily my partner actually worked with a registered snake catcher, so he actually came home from work early and brought someone else and he made it look so easy". Miss Cotta said she wasn't scared by any sort of snake as long as she knew it wasn't dangerous. "I quite like snakes when I know what they are. Luckily pythons are ones I can identify and I knew these snakes weren't venomous, so I wasn't overly concerned".